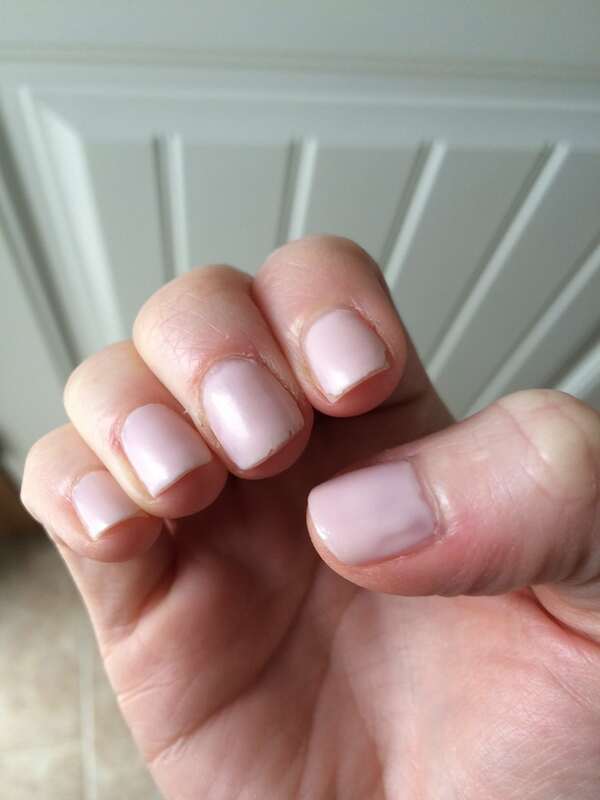 After over a year of shellac manicures every two weeks, I decided to give my nails a break. 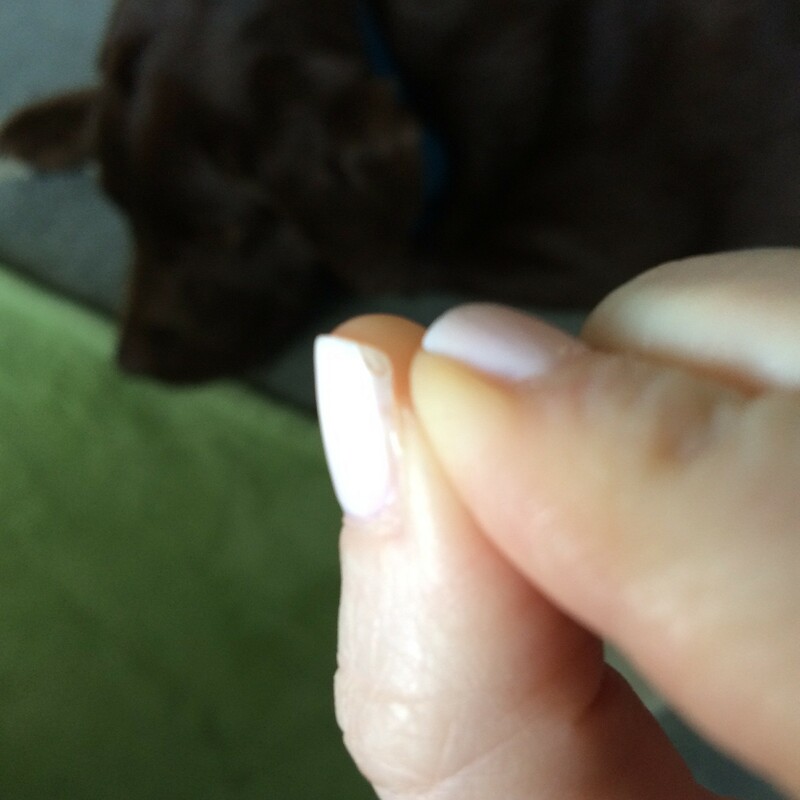 I still try to wear nail polish because my nails have this persnickety problem of cracking right at the bottom near my finger and then ripping to where my nail is raw. It hurts and it’s ugly, so I try to keep at least something on my nails. My problem is this: I HATE painting my nails. Truthfully, I just do a terrible job. My left hand looks great (as I am right handed) but my right hand looks like I let a five year old do it. Then I inadvertently ALWAYS do something to smudge the polish before it has completely finished drying. I heard about these new “no light” gel polishes and I wanted to try the ones that you can get at a drugstore and thus far I have seen ZERO reviews for this. So, I took it upon myself to try these two out. Both are fantastic because they are easily removed with regular nail polish remover, so no acetone soak. In case you wanted to know the verdict without reading the rest of the review, the winner is ESSIE. The topcoat covers ANY existing Essie polish, so unlike the Sally Hansen set, you only need this topcoat. I also suspect (haven’t tried this yet) but it will probably work on top of ANY brand of normal nail polish. That also means that you have access to a ridiculous amount of color choices, not just the ones that are “gel” specific like the Sally collection. Day Four: Slight corner chipping on 4-6 other nails, but still looks decent. Day Five: Full chipping. Time to take it off. This is SO much better than the Sally that started chipping on day 1. I did end up putting it on my toes, and that worked better than normal polish, but ALL nail polish for me last longer on my toes, so there’s always that. 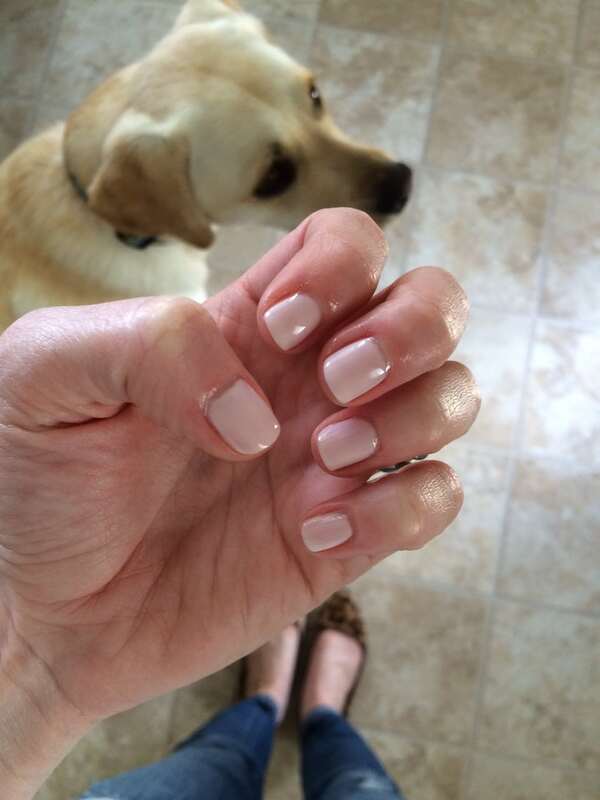 Essie Gel Setter Top Coat $10. Sally Hansen Miracle Gel Top Coat $10 AND Base Color $10= $20 for system. This actually seemed to dry faster than normal polish which was amazing! I wish it dried as fast as the Sally Hansen polish, but it’s still pretty fantastic. Also, I wasting dishes without gloves/cleaning etc by the end of the week so I’m sure if you weren’t washing your hands ALL THE TIME like I am, it will last longer. This is a huge improvement for me, as normal nail polish lasts a day or two before huge chips flake off. I highly suggest trying this top coat from Essie. Now, Essie DOES have a gel with light system in salons, and that is different from this. You can’t get that at Target. 😉 Totally worth the $10! I’ve used the Seche Vite topcoat for years and this is much better. Go try it! Let me know what you think! Ran out and got some yesterday and so far I’m loving it. My nails chip pretty bad so I need something on them at all times as well. So far it seems like I won’t have to repaint my nails every other day which is a huge lifesaver since there’s no time for that with a 6 week old and 4 yr old. Wow! You have time to paint them every few days?!?! You are amazing and MUCH better than I am. I’m such a slacker. I could do it at night when the baby sleeps, but I always go to bed asap. Lol. 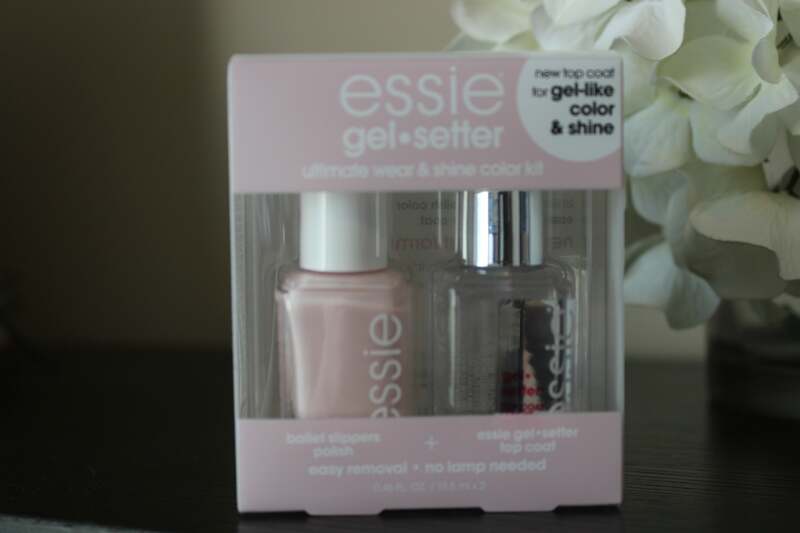 Interesting review, I have not tried Essie yet but I did try Sally Hansen. I actually washed dishes without gloves and the polish lasted almost a whole two weeks. Hopefully you followed the directions because this worked great for me. Did you get the Essie set for $10 or just the setter for $10? Where did you buy your set? 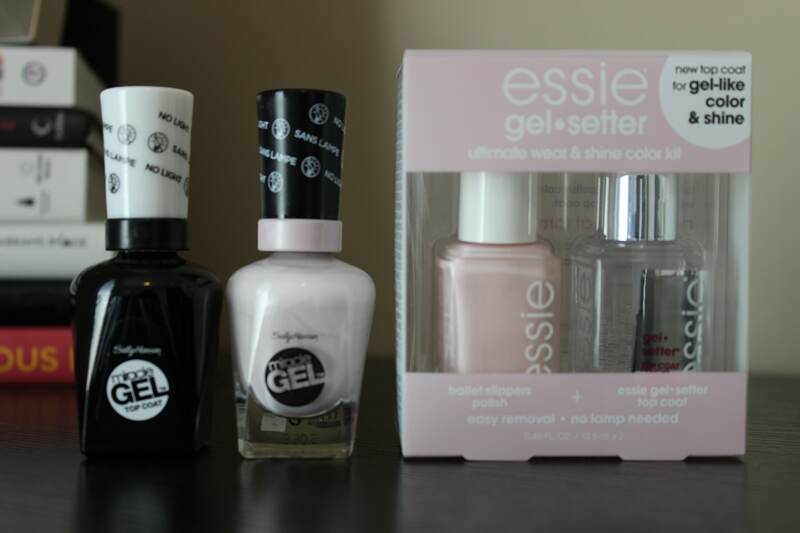 The pack at Target was on special for $10 total, but normally the Essie is $10 for the gel. It works on any existing Essie nail polish so the packs were just a promo thing, I think. BTW, “ballet slippers” looks good on you! Years later, I know. I have used both the Essie gel top coat as well as the Sally Hansen Miracle Gel top coat over regular nail polish and find they BOTH work well. The Revlon system is not quite as good, but still better than regular top coat. I have several bottles of the Sally Hansen Miracle Gel color that have dried out. I try to use shades that are only 4 months old and they are thick and will not go on smoothly so I am thinking of switching to the Essie. 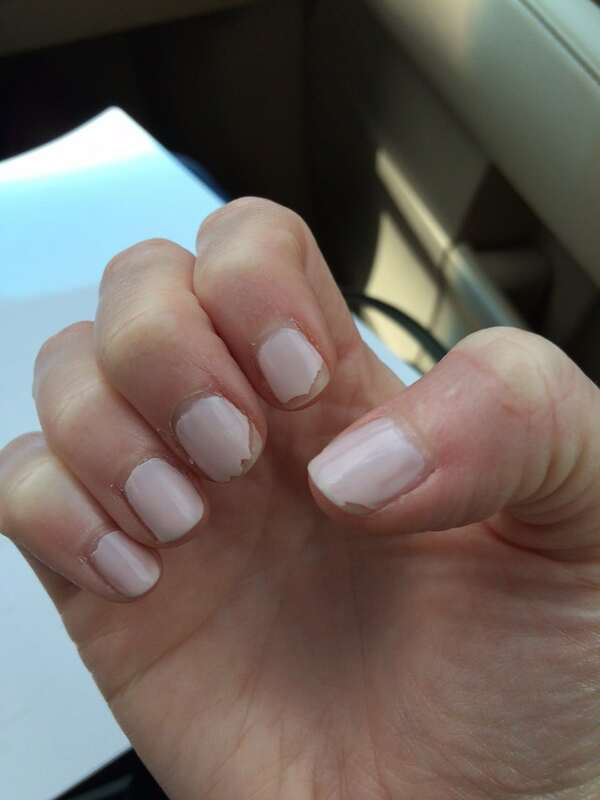 Did you find that the Essie brand still able to go on smoothly after 4-5 months? With the Sally Hansen I have to wait 5-6 hours between coats or it will never dry. Originally, I had the Gelish brand with the UV lamp and found it too costly and time consuming. Thanks for any advise. I have heard you can put a little nail remover to get the Sally Hansen Miracle to thin out. What do you think?